Day 1 – DHC Challenge – We Begin! 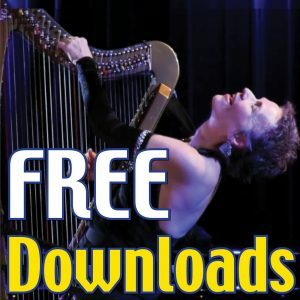 The "DHC Challenge" is the pilot project for a collaboration with harpist, soloist and educator, Robbin Gordon-Cartier. The project uses my harp concertos to support both community and learning by teaching them to harp ensembles and then performing them with community orchestras. 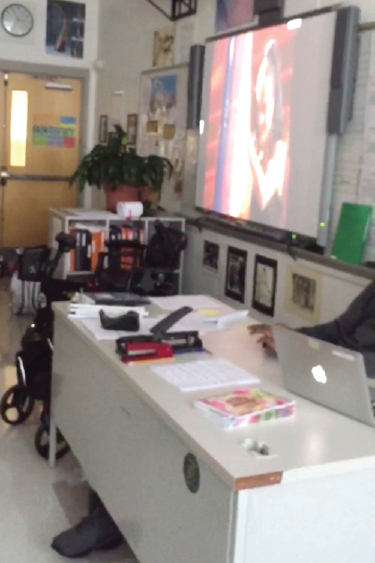 DAY 1 of the “DHC-Challenge” at Cicely Tyson School of the Performing Arts, spearheaded by harpist, educator and soloist Robbin Gordon-Cartier. 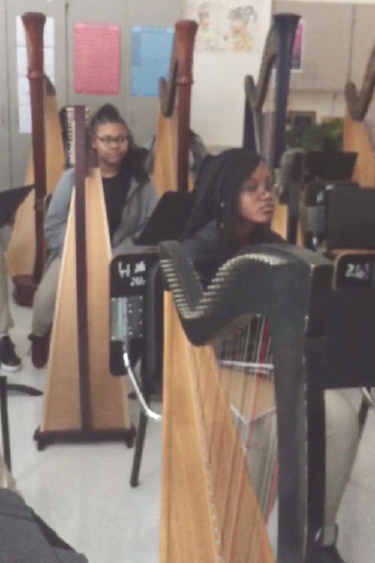 On day 1, the students sit at their harps and watch performance videos of one of the pieces they’ll be learning and playing. CLICK HERE to view the ‘Day 2’ post in this series!